Ground has been broken on Europe’s largest solar energy system, which is being built in France by Neoen, an energy developer headquartered in Paris. The new solar power system is being built at Cestas and cost approximately $450 million. The system will be connected to the French energy grid once construction is completed and its photovoltaic modules begin producing electrical power. 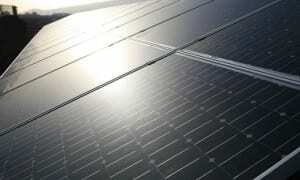 The new project is expected to contribute heavily to the growth of France’s solar capacity. The new energy system will have a maximum capacity of 300 megawatts and is expected to begin producing the first of its electrical power at some point in October 2015. Construction on the new project has created several temporary jobs in France, which may help spur economic activity in the region that the project is taking root. Moreover, larger solar capacity may help reduce France’s reliance on fossil-fuels in the future, which will also have an economic impact on the country. As of June this year, France has a total solar capacity of just over 5 gigawatts, which represents just 1% of the country’s energy consumption. By comparison, neighboring Germany boasts of more than 37 gigawatts of solar capacity, much of which has been built with the support of aggressive government initiatives. France is looking to follow Germany’s example, to some degree, and has introduced incentives that are designed to support the adoption of solar power and make the country an attractive solar energy market. Neoen notes that the new solar energy system will provide electrical power that is less expensive than the energy produced by new nuclear power facilities. The company suggests that this would have seemed like an impossible dream five years ago, but nuclear power is becoming more expensive while solar power is becoming more affordable.